Don’t forget: Celebrate the patient experience next week! 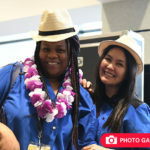 The Office of Patient Experience will be celebrating Patient Experience Week, April 22-26. During this week, Michigan Medicine recognizes the faculty, staff and volunteers who impact the lives of patients and families. 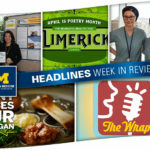 All events are open to the entire Michigan Medicine community. No registration is necessary. Take a little break from your hectic schedule and stop by the Towsley Lobby where you’ll find stations on yoga, healing touch, mindfulness, art therapy, self-compassion and more. A panel with patients and providers discussing the importance of creating an inclusive environment for LGBTQ+ patients and families. 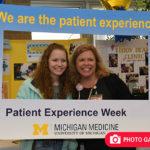 Join the Office of Patient Experience for an engaging and interactive event designed to promote programs and departments who impact the patient experience at Michigan Medicine. Events are scheduled for the Brighton Center for Specialty Care, Northville Health Center, Ypsilanti Health Center and West Ann Arbor Health Center. Click here for specific location/times/dates. For more information, contact the Office of Patient Experience.